Face it ... if you're living in New York City, you're constantly on the go. From the chaos of corporate life, to the daily running around of starting a small business - by the time you get home, all you want is a good night sleep! Studies show that we're suppose to get about 8 hours of sleep a day. Most New Yorkers are lucky to get 6 and that's if you have amazing sheets. Amongst other things ... your bedding has a impact on your quantity as well as your quality of sleep. Whether your sheets are too scratchy, too thin or not enough insulation - sheets matter! Additionally, we all know New York doesn't have the best air quality, resulting in many respiratory issues and skin irritations. When it's time to rest - who wants to deal with synthetic chemicals between their sheets as well. Don't forget, our skin is our largest organ! Sleep well knowing that these organic lifestyle pioneers are making the bed with sheets that are certified six times over. This sextuplet of a certification process means that Under The Canopy works to prevent the use of harmful substances, that their resource and energy waste is reduced, and that worker welfare is a priority. Fair trade, indeed. Plus, since they’ve been in business for over two decades, they’ve gotten playful with their patterns, like the polka-dot Percale 300 thread-count set that’s Oeko-Tex certified (no toxic chemicals, heavy metal or bleaches here). 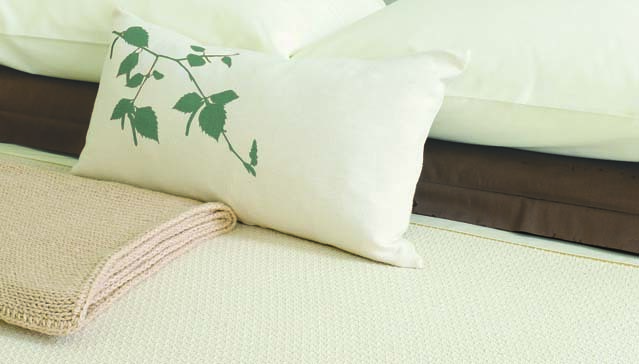 This Northern California company makes organic cotton bedding inspired by the natural world. Grown and processed in India, their cotton is certified organic by the Control Union Certifiers of the Netherlands, Global Organic Textile Standard (GOTS), ECOCERT of France; and Fair Trade certified by FLO-CERT of Germany. They also use low-impact dyes. We just gave you a few of our favorite but there are so many brands in the marketplace now! We also love Sol Organics and The Natural Sleep Store. Definitely do you research and find a brand you love because good sleep is important!